So as I may have mentioned, I live in Bayit VeGan now. 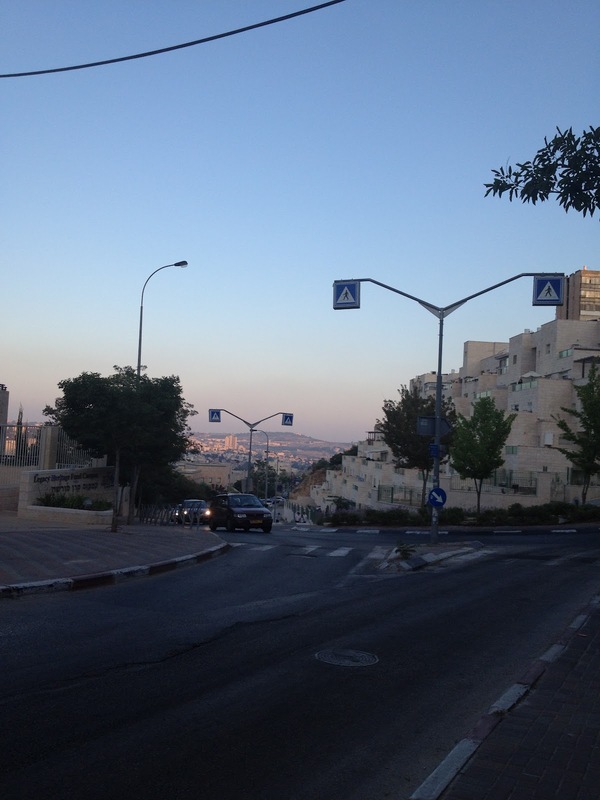 The looks on people’s faces when they hear I live in Bayit VeGan is often interesting to say the least. “That’s quite frum, isn’t it?” is the typical response of people in the know, manly modern orthodox Jews. When I lived in Williamsburg, Brooklyn, people would usually nod with an approving look, even smile. Williamsburg, or “the Burg” or as some of my former coworkers would say “WillieB” is located in Brooklyn just over the bridge and is really more part of Manhattan than Brooklyn in attitude and in access to public transport. It has become extremely gentrified in the past few years, although historically it hosted Jewish immigrants (such as my grandma when she was a little girl) and later hipsters. Even some historical rap videos were made a few blocks away from my former apartment. But now it is a mix of everything—hipsters, gentrified hipsters (high rises on the waterfront galore), a few streets with Latin American stores and ultra-orthodox Jews. In this way, my living in the Burg appealed to anyone I might talk to, especially fellow gentrified hipsters. Like Williamsburg, Brooklyn, Bayit VeGan also has its fair share of ultra-orthodox Jews. In fact, the vast majority are, dafka, ultra-orthodox Jews. There are no hipsters insight. However, similar to the Burg, there are a lot of French people (including two of my roommates, one of whom seems to know many people in the ‘hood including her aunt) and supposedly some Americans, though I have only seen three of my compatriots thus far. While most of Jerusalem is pervaded with ancient history, the archaeological discoveries at the border of Bayit Vegan have been particularly rich. A 4,000 year-old cemetery that occupies more than half an acre has been found near Bayit Vegan, as well as many Canaanite artifacts. Archaeologists believe that burials took place in the cemetery during the Bronze Age. In the 20th century, Bayit Vegan was one of the six neighborhoods designed by the Bauhaus architect Richard Kaufman, along with Beit HaKerem and Rechavia. The picturesque charm of Kaufman’s design has increased with age: today, the weathered stone facades gleam softly in the sunlight. Verdant greenery seems to escape from every crack in the aging walls and overflow from windowsills. The neighborhood is very beautiful and flowering trees overflow. There is also construction throughout the neighborhood. 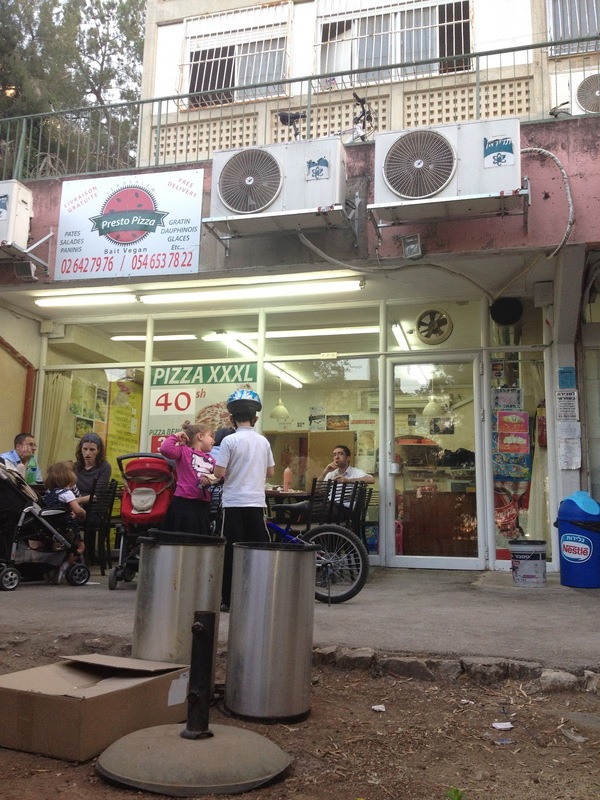 Bayit VeGan is Jerusalem’s highest neighborhood. Many apartments have balconies and the views really are quite amazing—you can see the city’s bright lights and Jerusalem’s hills in the background. 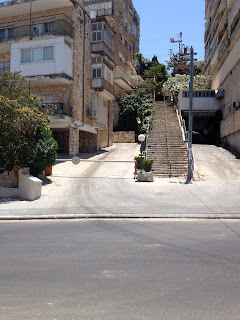 Like East Talpiot, where Beit Canada was located, the best way to get around is to go up or down like shoots or ladders rather than to go around and around the mountain at a slow incline. 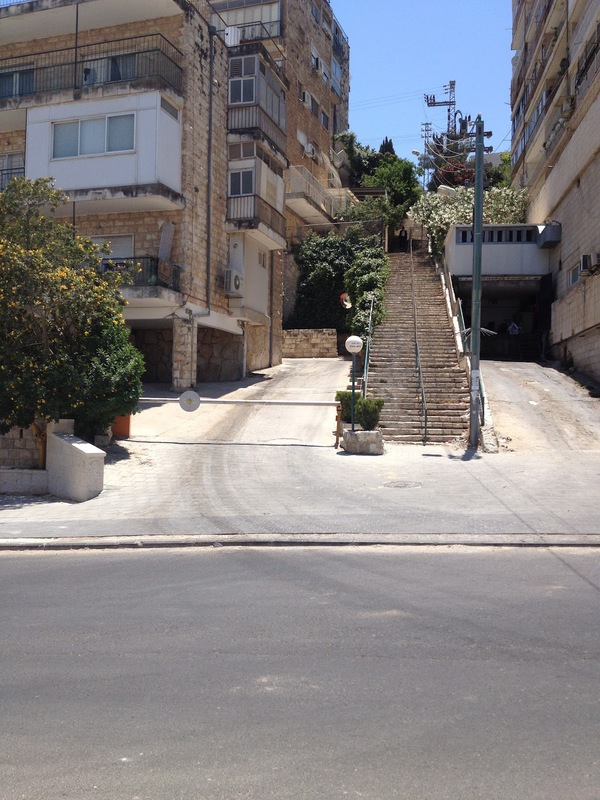 Thus, getting to my bank was 15 minutes up several flights of stairs to the tippy top of the hill. I still have more to explore but at the very least, the walk to my apartment is nice. A playground, a few synagogues, one happening pizza place and an event space where festive Hassidic tunes are played until late at night.